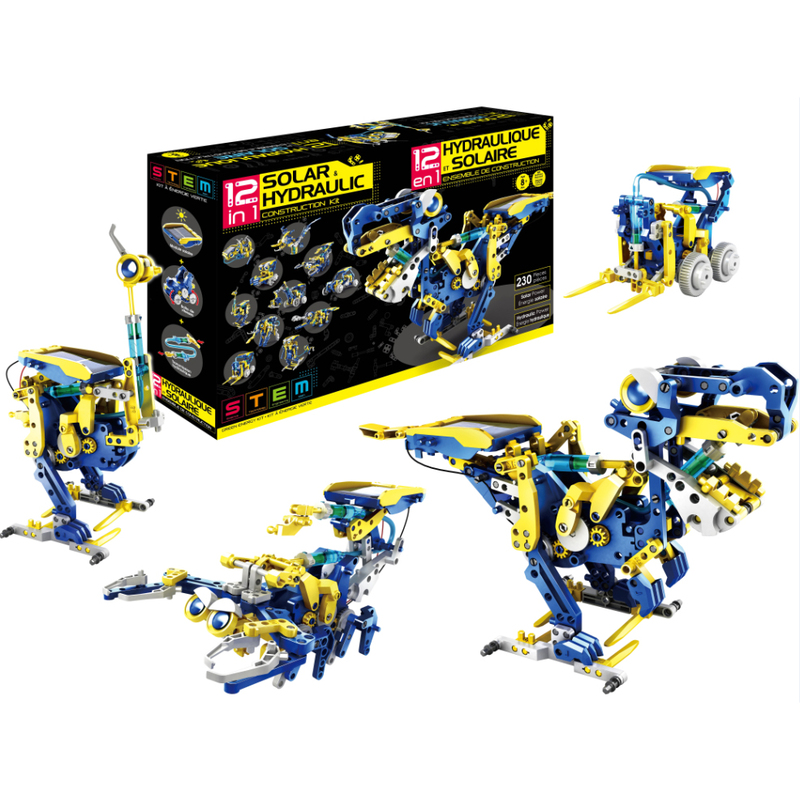 UPC : 843696099886 The solar and hydraulic-powered robot can be transformed into twelve different animals and mechanic robots. Every model features multitudes of functional and bio mimicry movements and unique modeling. The user can change from climbing monkey to mouth-opening crocodile or tyrannosaurus Rex to running ostrich to claws-attacking scorpion to zigzagging buggy, and more. Combining these two powers, these adorable robots can move easily and provide great interaction with kids. 12 In 1 solar hydraulic powered robot is designed to have children learn the benefit of alternative energy and basic concept of these technologies. This product is powered by the sun and water, there are no batteries required. The robot can move in direct sunlight and allows children to play with it outdoors and also encourage them to explore the world.